DotServant Review 2019: Is DotServant a Good Hosting? DotServant is a website hosting provider established in 2000. The vendor specializes in the provisioning of shared web hosting and WordPress hosting solutions to small and medium sized businesses in the U.S. and other parts of the world. DotServant is a hosting vendor offering shared and WordPress hosting solutions. The firm was founded in 2000. It boasts of thousands of customers including small and medium-sized businesses in the U.S. and other countries around the world. Its data center is located in the U.S.
DotServant’s hosting solutions are powered by modern servers in a data center in Jacksonville, Florida in the United States. The websites it hosts run on a redundant network infrastructure which ensures excellent performance and utmost reliability. The company’s servers use the Linux OS platform. DotServant offers regular automatic backups. The hosting provider offers WordPress hosting which comes with a one-click WordPress install, a free SSL certificate, and free SSH access among other features. 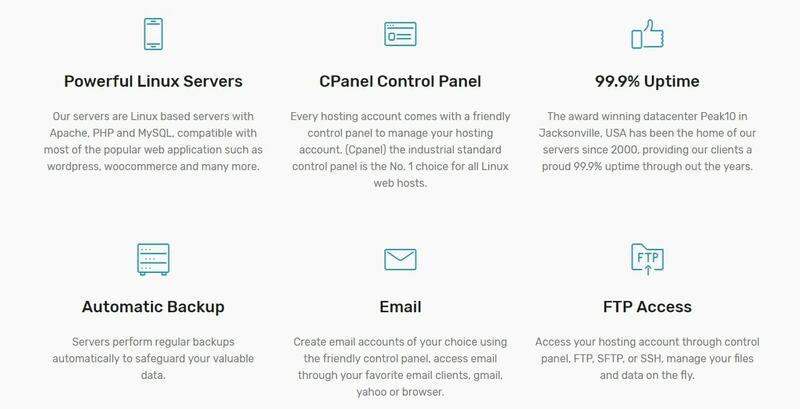 This vendor’s hosting solutions use cPanel, Plesk, and DirectAdmin control panels. DotServant’s shared hosting solution comes in three packages: Starter, Basic, and Standard with the only difference between them being the number of domains. Considering the resources and features included, DotServant’s hosting plans can be said to be reasonably priced. The prices are listed in U.S. dollars. The vendor offers flexible monthly billing cycles. DotServant hosting solutions include a 99.9% network uptime guarantee and a 30-day money-back guarantee. If you need technical assistance, you can contact DotServant via its ticketing system. The vendor has not availed a support phone number, email, or live chat. 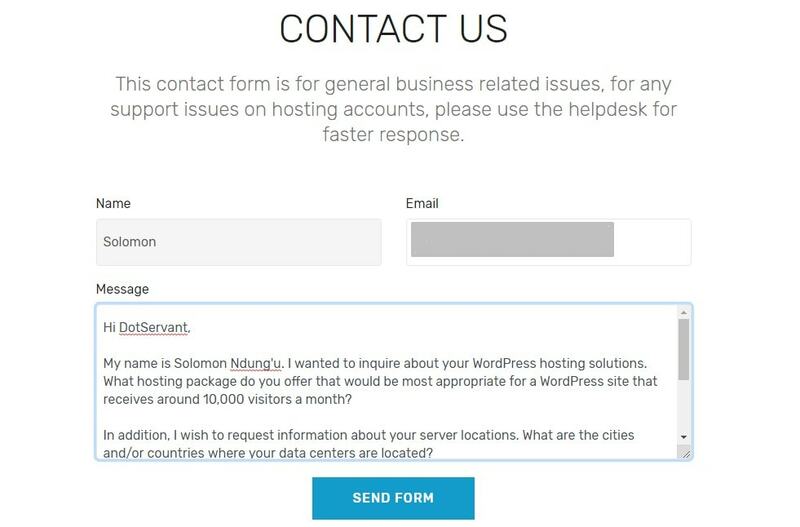 Its technical support team is said to be available 24/7, however, I opened a ticket with a query about their WordPress hosting to test out their support and received no response. The DotServant website has a link to a knowledge base section, but it is empty. Though DotServant has been in the web hosting business for more than two decades, it has yet to streamline its service offerings to reflect the growing needs of today’s business enterprises. From infrastructure to expertise, the vendor does not seem to leverage its experience in the industry to offer hosting solutions that few other vendors can match. Wondering how DotServant stacks up against other Web Hosting companies? Enter any other Web Hosting company and we will give you a side-by-side comparison.